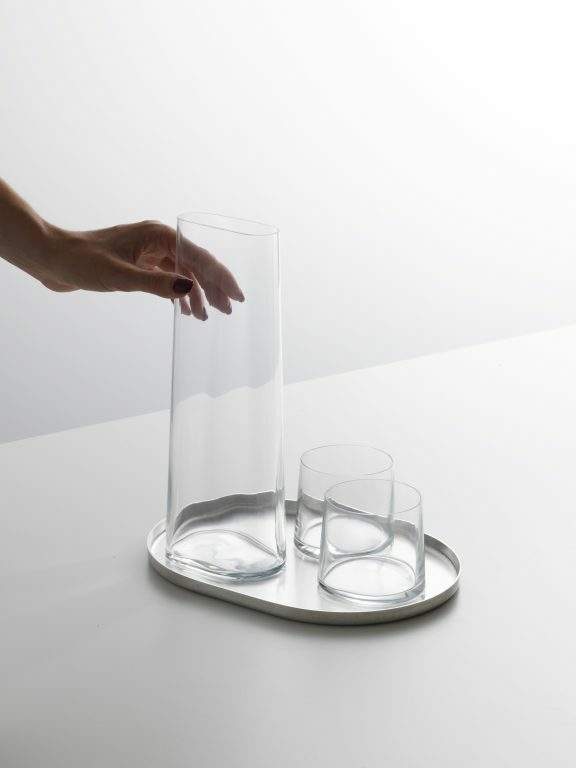 This made us think about how people serve water and how does it happens in different cultures. 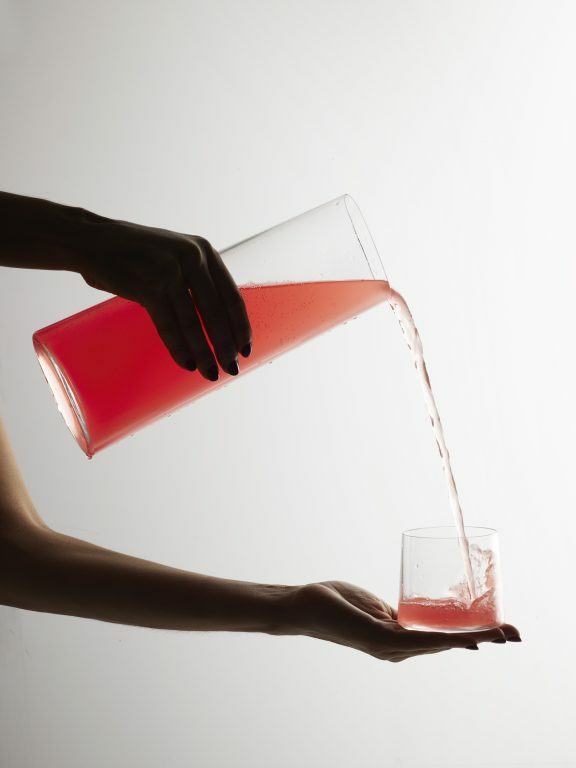 A japanese good manners rule came into our minds, they say it is impolite to pour your own drink – you pour your companion’s drink and your companion pours yours. 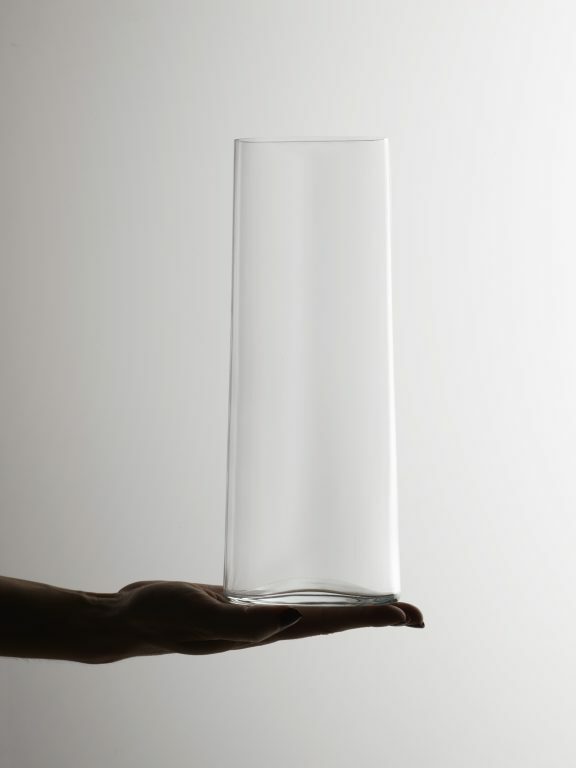 How beautiful is this gesture! 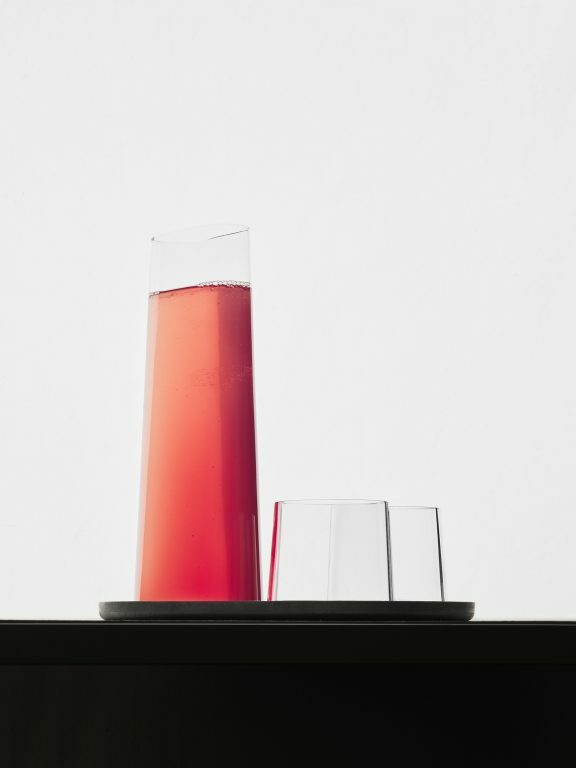 Dual carafe shape affords a double directional pouring for serving and being served. 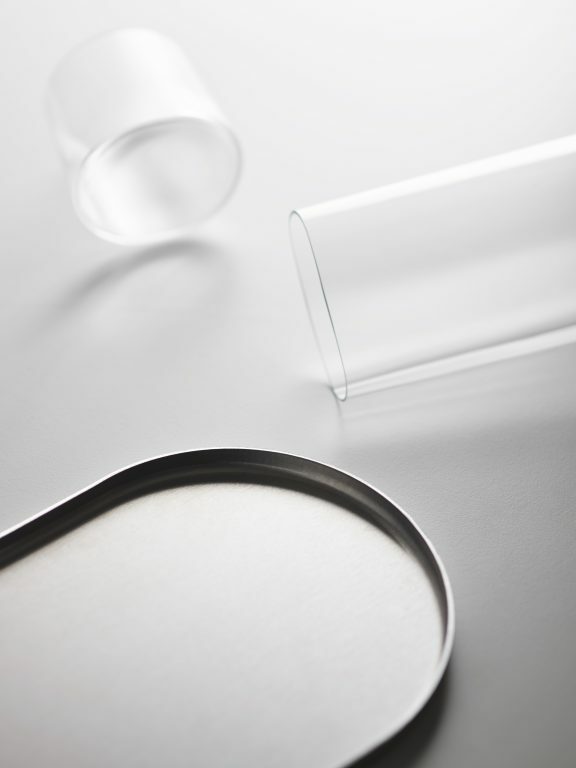 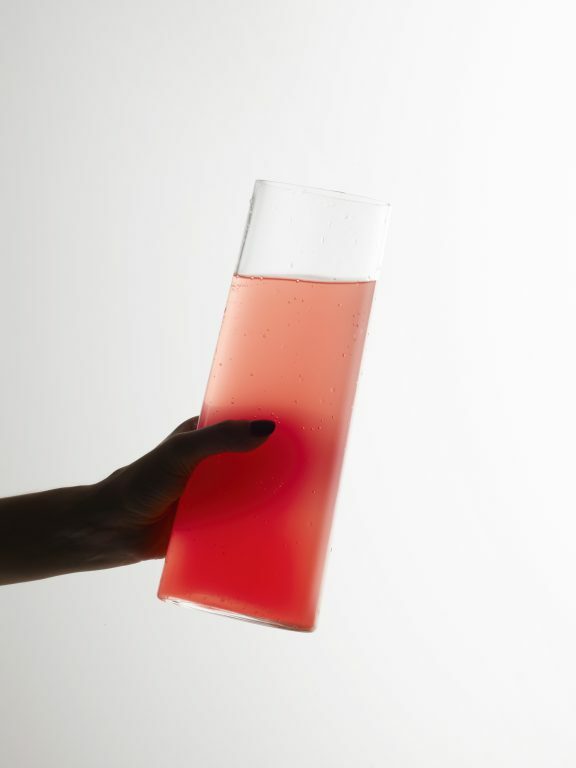 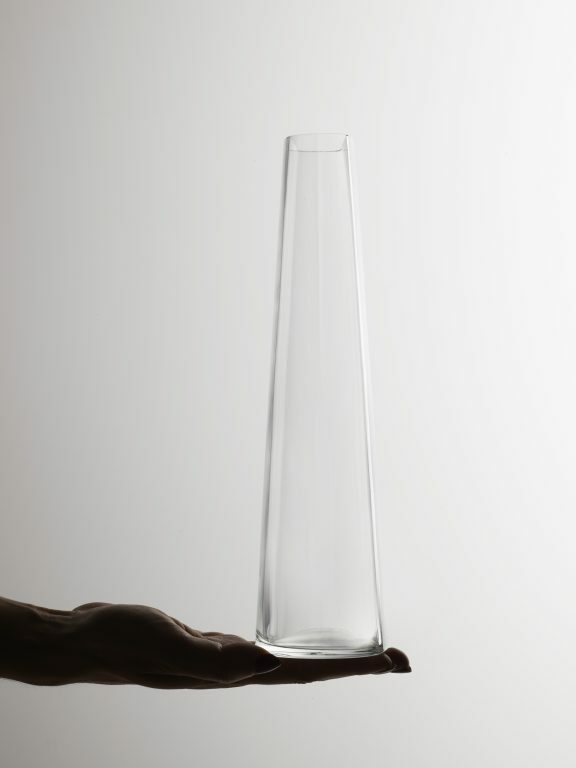 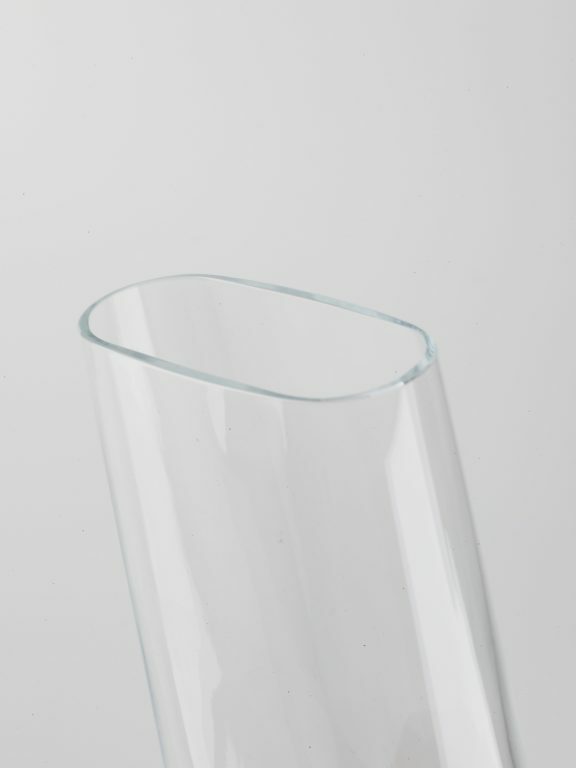 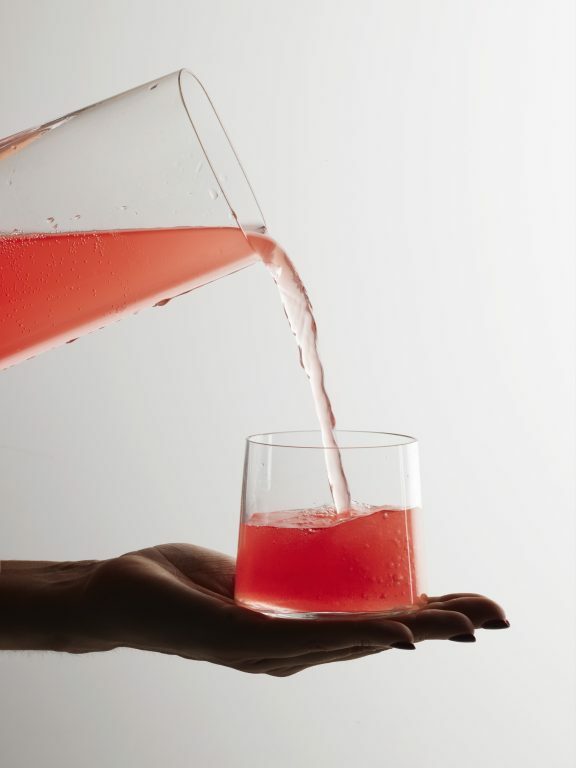 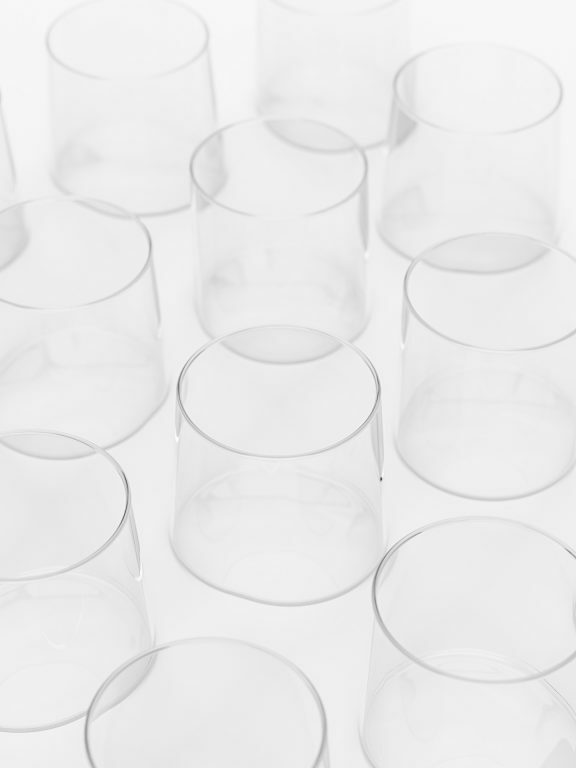 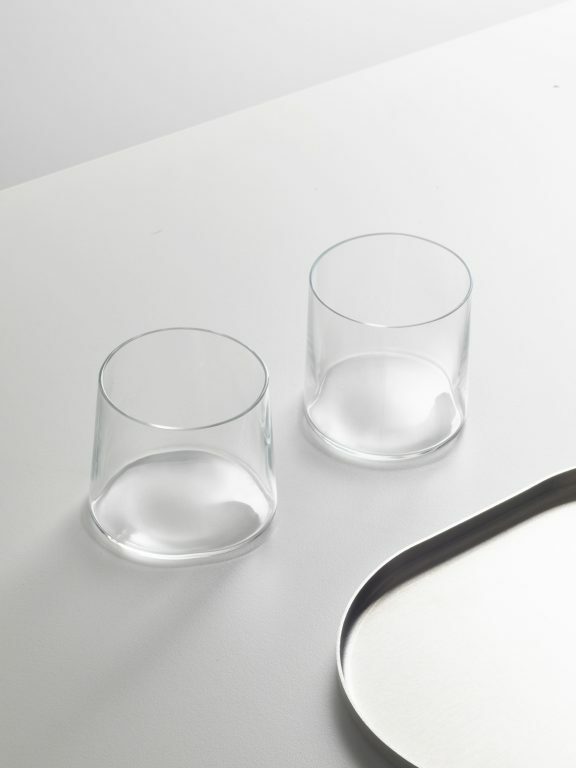 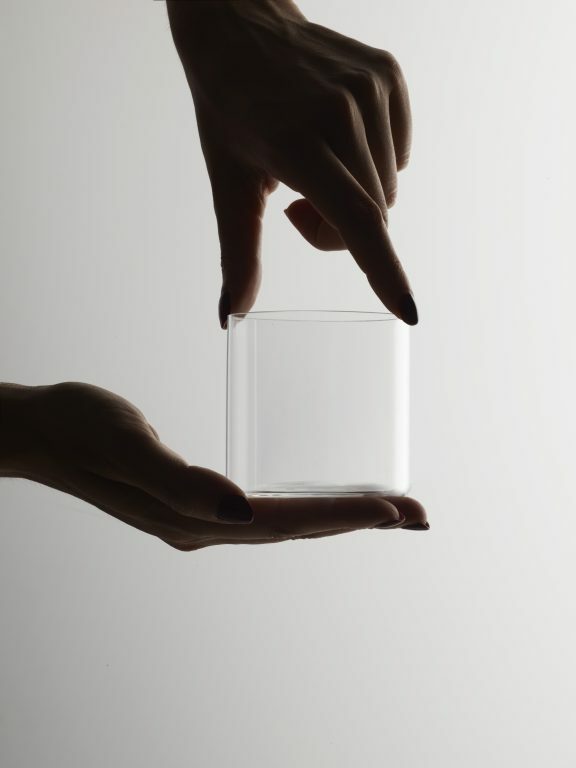 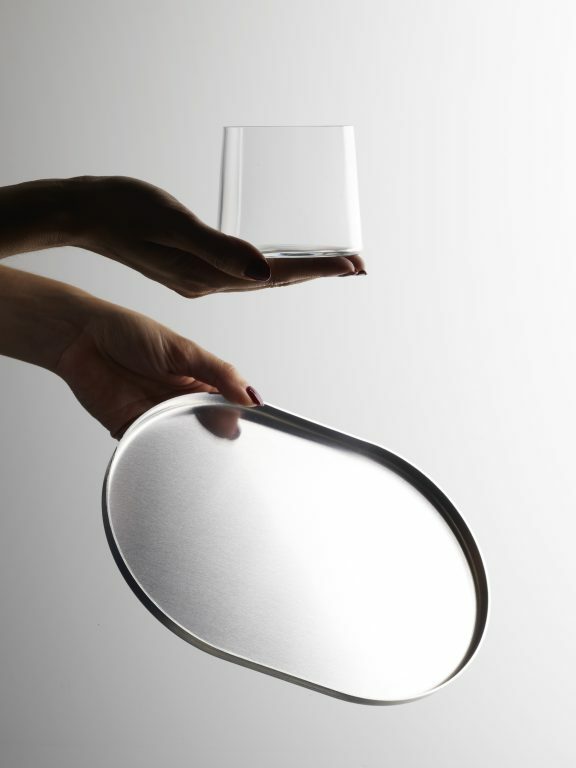 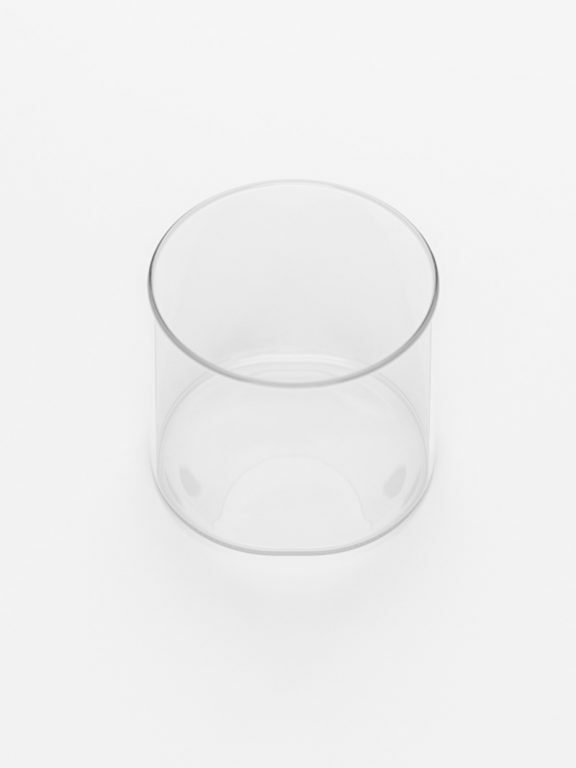 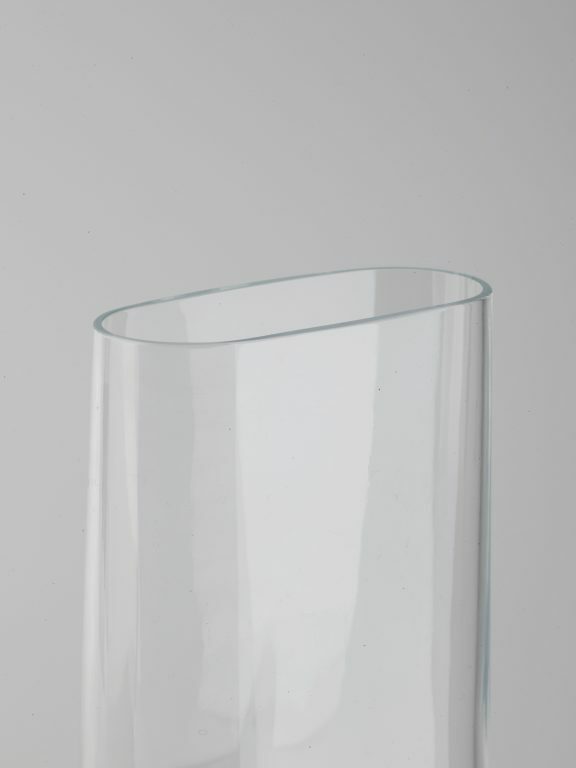 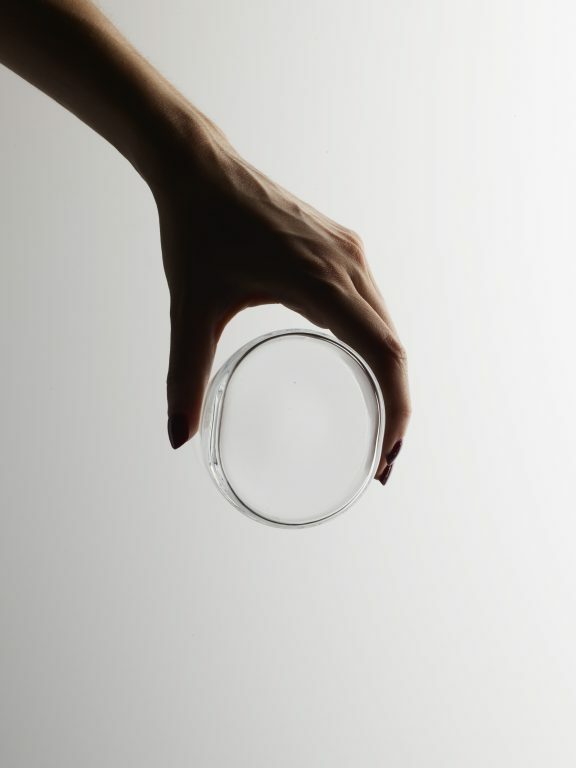 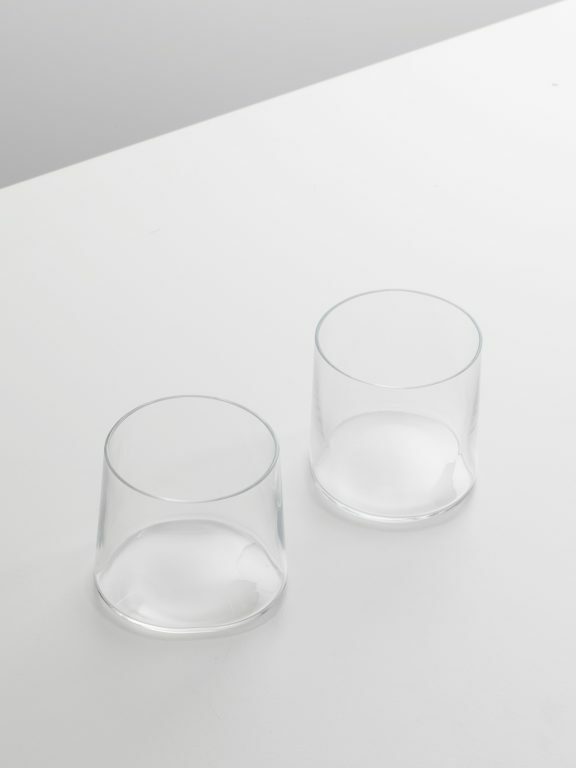 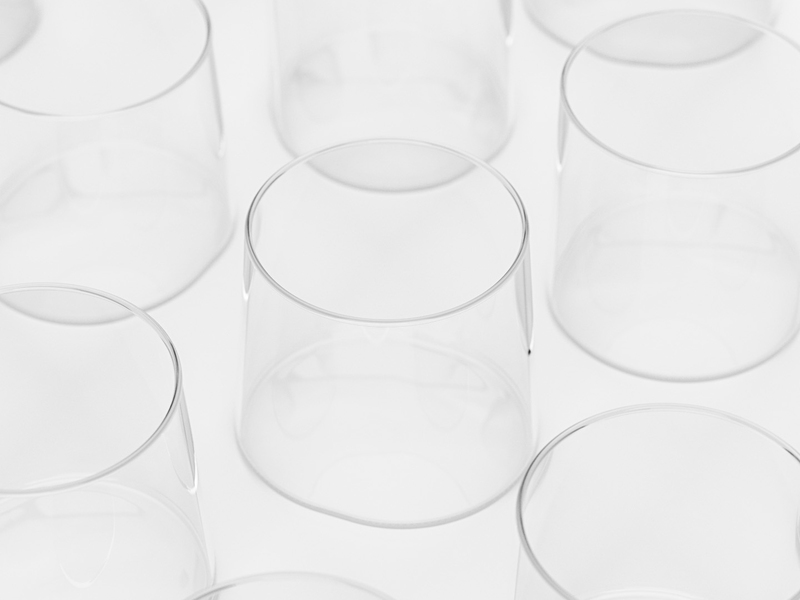 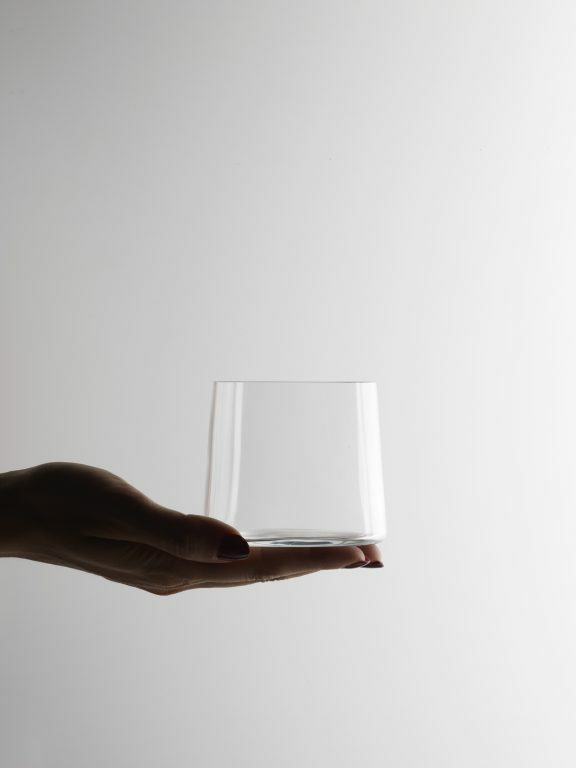 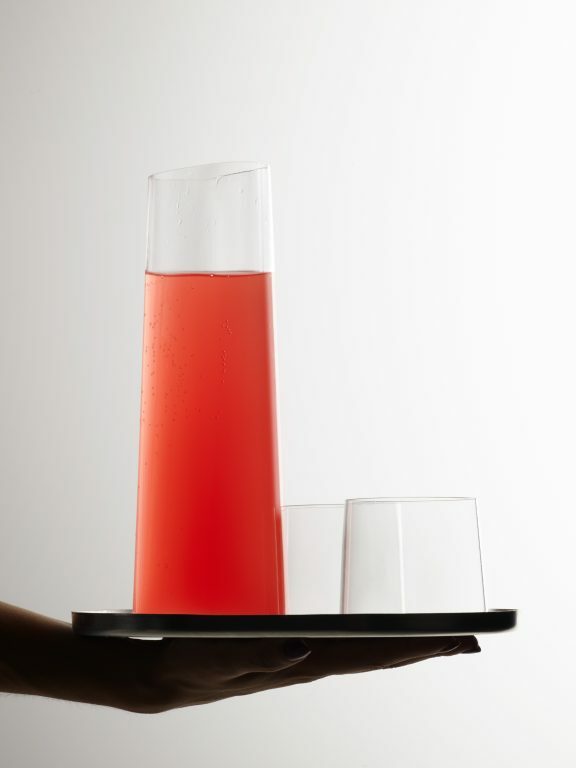 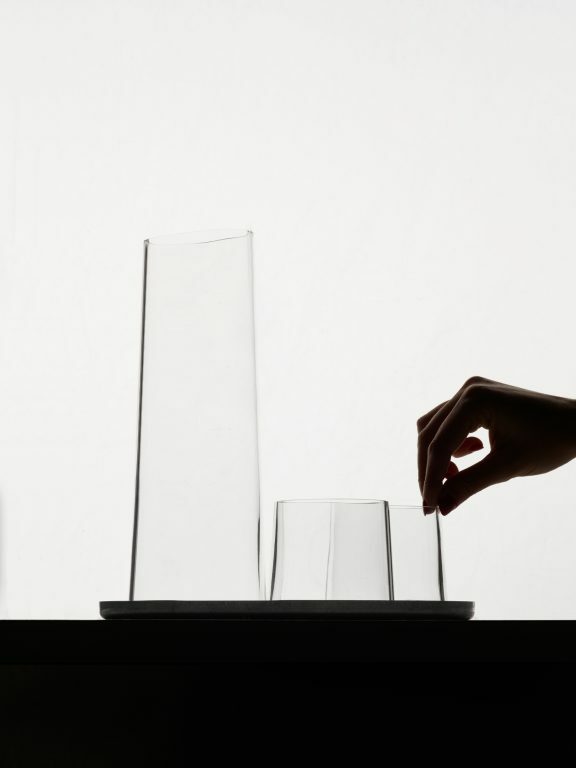 The glasses, following the same formal language as the carafe are asymmetric and always look different from each other based on their perspective, but the top is round for a convenient drinking experience. 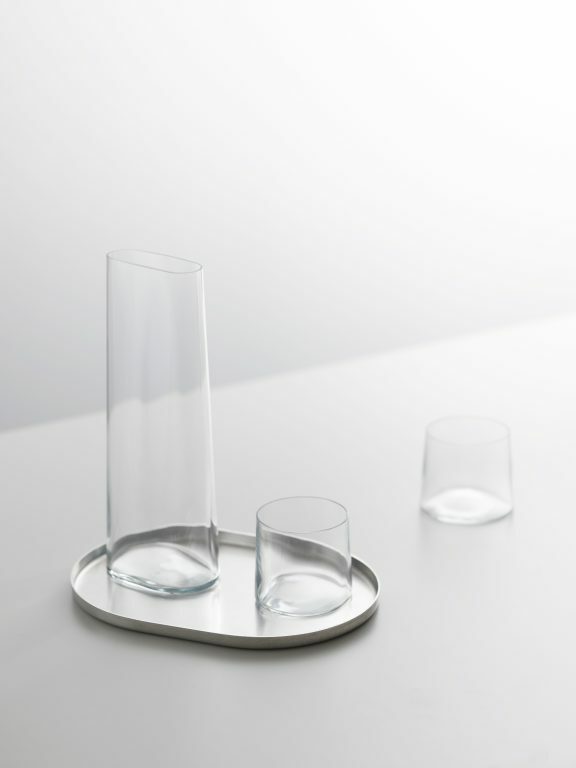 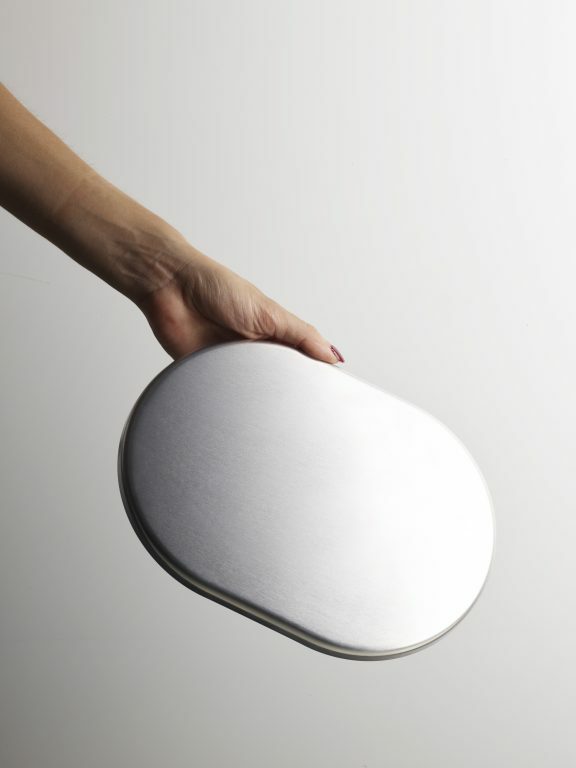 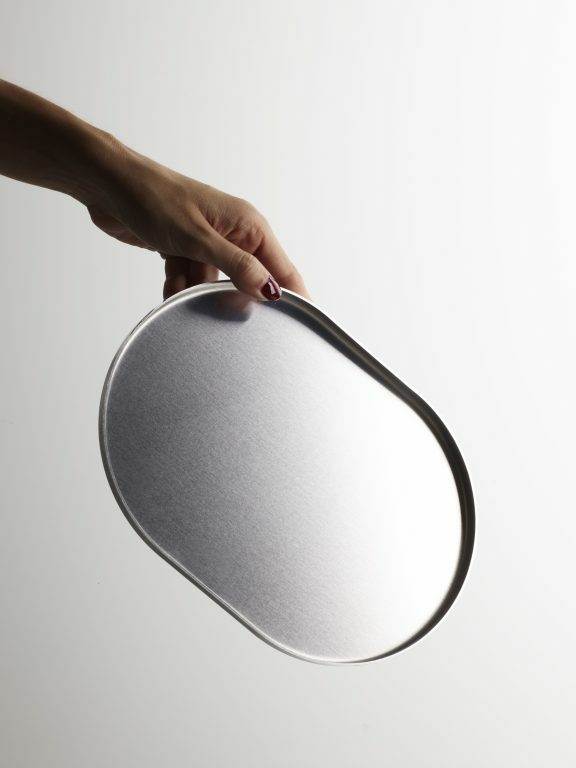 The set is complete with a small aluminum tray, big enough for two glasses and a carafe.